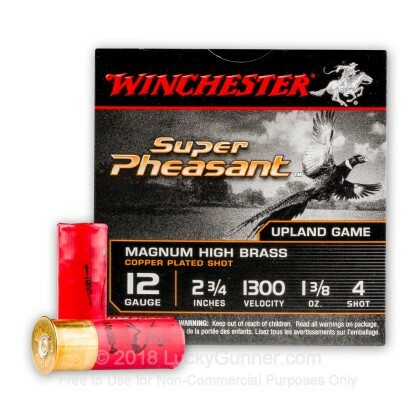 This 12 gauge pheasant load from Winchester is an excellent choice for upland bird hunting. 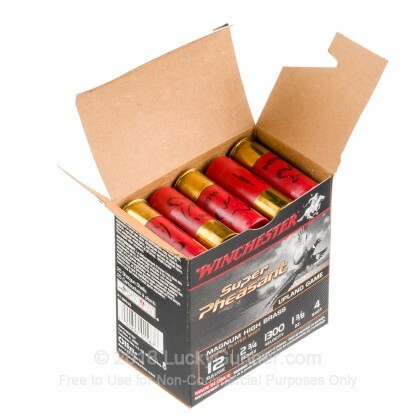 Each shell in this box of 25 fires 1-3/8 oz. 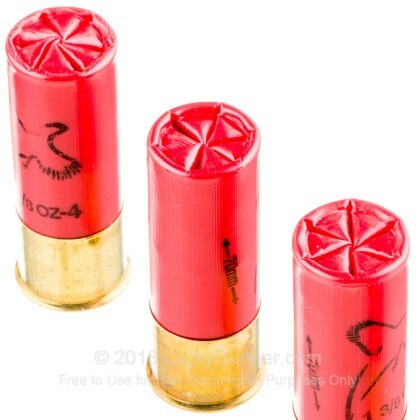 of #4 birdshot at a muzzle velocity of 1,300 feet per second. 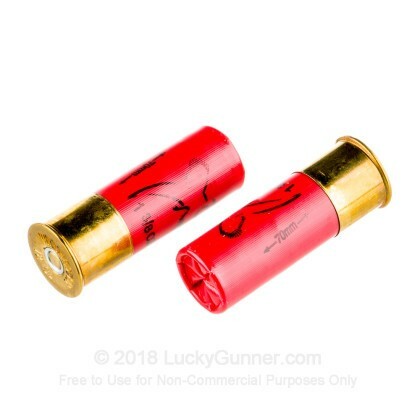 Super Pheasant ammunition is known for its tight patterning and deadly terminal ballistics against large birds and other game even at relatively long range. 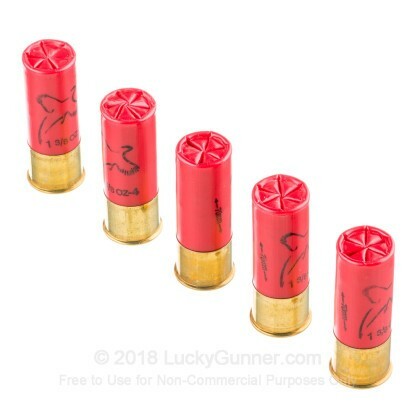 Winchester achieves these results by loading this ammo with premium wads as well as hard shot designed to retain its shape as the shell is fired. 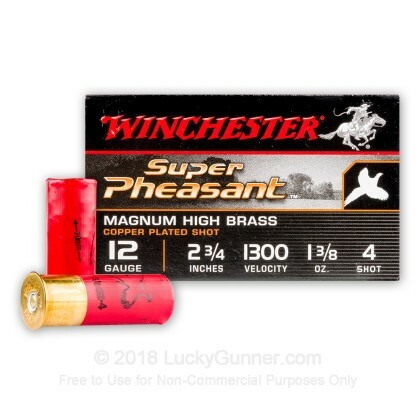 Like other Winchester shotshell loads, this ammo is made in the USA.